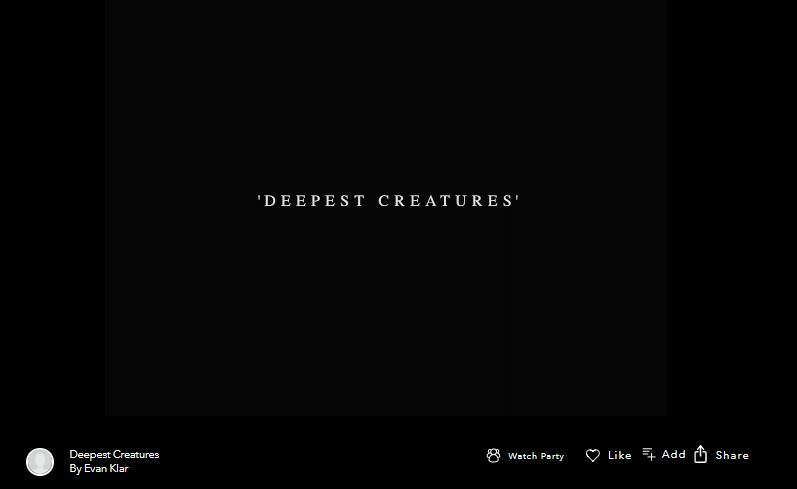 ‘Deepest Creatures’ kicked off with first single ‘Sleep’, followed by ‘Barefoot’, which received spins on triple j and community radio and chalked up more than 700,000 streams. Most recently, Evan Klar released the album’s title track, complete with stunning Riley Blakeway video – VIEW HERE. 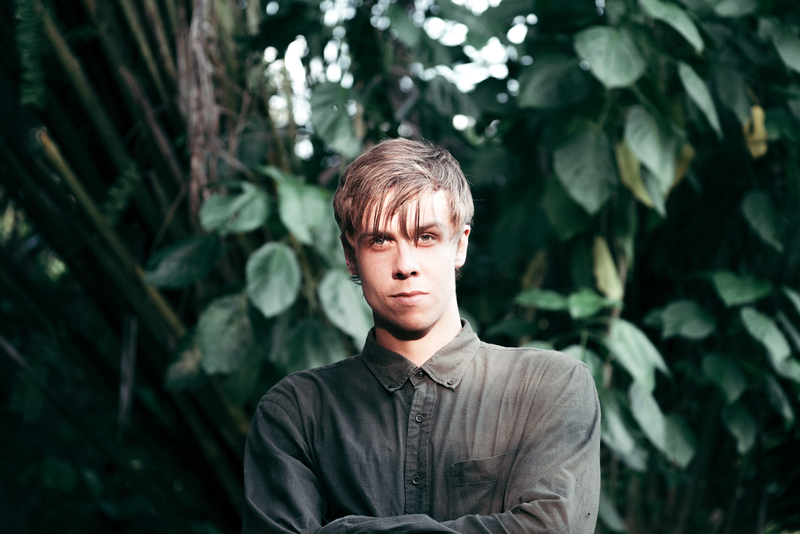 The album ‘Deepest Creatures’ was created in the UK, and produced by Ash Workman (Metronomy / Christine & The Queens) and presents as a cinematic like landscape with lush, woven sounds and heavy percussion. 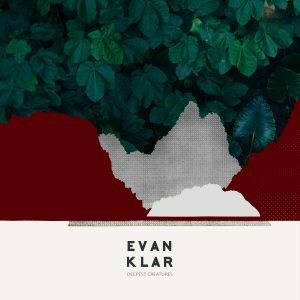 Humble about his processes, Evan Klar describes his approach to composition as more of an organic “dabble” that is closer to sound design than it is to traditional songwriting. Arguably, it’s a method that sets him apart from the pack and where the cinematic quality of his music truly shines though. “I’m really interested in film and video game scores and sound design,” he muses. “It’s a huge part of my inspiration.” A self-confessed cinephile, this close adoration of film led Evan Klar to a process that worked for him –just like a visual score, it’s not uncommon for one of his songs to start with a field recording or atmospheric track. A great example of Evan Klar’s skill with soundscapes is the single, “Sleep”, which opens with rainfall, breathing and an atmospheric groove. Not only is this the track that introduces the world to Evan Klar and his approach, but it’s also the opener on the album, and for a reason. “Sleep really is a track that sets the scene,” he says “I’m not a particularly serious person, so I sort of treated this, lyrically especially, as a nursery rhyme. It’s like my beginning, the start of growing up, an opening, someone waking inside a dream.” Hence, “Sleep” is mysterious, warm and likeable in its composition. Exactly like a journey, ‘Deepest Creatures’ is composed with a beginning, middle and an end and with an overall tone of optimism, curiosity and motivation at the heart – a reflection of the artist himself. “Nothing about me is a recipe for rock and roll,” he laughs. “I’m into being healthy and taking care of myself, so I like to think that my songs are motivating and might help get people out of rough places.” He adds, “I can’t see how anyone could be unhappy making music, it’s when I’m most happiest and I hope this inspires someone listening to it and takes them somewhere.” Not unlike the escapism one feels when immersed in a great tale, he agrees. Klar recently completed an East Coast tour, including a mesmerising live set at Rolling Stone’s Live Lodge.